Does Smoking Cause You to Snore? As a smoker, throughout the years you have probably heard all of the reasons why smoking is dangerous – emphysema, pneumonia, chronic obstructive pulmonary disease (COPD) and even lung cancer just to name a few. Smoking effects everything from your heart to lungs and causes nearly half a million deaths per year in the United States alone. While all of this may not be news to you, here’s something that you have likely never heard: The research is in and snoring may be caused by smoking. Several studies have been conducted to confirm this notion. One Swedish study used a questionnaire to ask 15,000 people about their smoking and snoring habits. Those who participated were between the ages of 25-54. The results were quite astonishing. Only 14% of non-smokers were considered habitual snorers while 24% of smokers were habitual snorers. In order to be considered a “habitual snorer” one must snore loudly for at least 3 nights per week. Another study examined the relationship between smoking and obstructive sleep apnea by examining articles in Medline up until 2014 and suggested that there is a relationship between the two. While snoring and OSA are not the same, they are often closely related to each other as snoring typically exists in those who have sleep apnea. How Does Smoking Cause Snoring? So, it’s true. Smoking does cause snoring and the more cigarettes that you smoke per day, the more likely you are to snore. A two pack a day smoker is twice as likely to snore as a one pack a day snorer. Why is this the case? Exactly how does smoking cause snoring? When you smoke, whether it’s cigarettes, marijuana, or any other substance, smoke enters the mouth and travels through the airway. As the smoke passes down the airway, into the lungs and out the mouth and nose, it irritates the surrounding tissue. Irritation causes inflammation which is simply swelling of the tissue surrounding the airway. While there are several reasons why we snore, restricted airflow in the airways is by far the most common. Imagine blowing through a plastic straw and pinching it off at one point. This is exactly what happens when you smoke. The airway becomes inflamed, swells up and air must pass through an already narrow area such as around the throat. When this occurs, the movement of air causes loose tissue in the airway to move and collide with each other. This is where we get the sound of snoring. The more that you smoke, the more pronounced the sound of snoring as the airway becomes increasingly smaller. Why it’s Important to Address Snoring Now? Now that the relationship between smoking and snoring has been established, the next question is “Why should I be concerned about snoring caused by smoking?”. While most people consider snoring a laughing matter, it can actually cause marital problems and may even be a sign of the more serious related condition of Obstructive Sleep Apnea. As a sleep-deprived nation, the average American sleeps less than seven hours per night. For several years, the number one bedroom disturbance has been snoring. Since over 25% of couples are habitual snorers, this bedroom nuisance can often lead to disputes, sleeping in separate bedrooms and ultimately divorce. Often times, the offending partner may not view their snoring as an issue. The partner who must lay awake in bed and constantly wake they’re significant other may view their snoring differently. If your partner is constantly complaining that your snoring is disturbing their sleep, it’s probably time to do something about it. With nearly 50% of marriages ending in divorce, snoring is not a condition that should be taken lightly. While it may be tempting to simply ignore a snoring problem, you may want to consider that snoring is one of the most common signs of Obstructive Sleep Apnea, a condition in which breathing stops for several seconds before resuming again. This is caused by the narrowing of the airway. With sleep apnea, the body never achieves a restful night of sleep because it’s startled awake several times throughout the night. In addition to being told that you snore, you may also notice that you are constantly tired throughout the day and may even fall asleep while at work or in the car. These are telltale signs of sleep apnea and should not be ignored. Sleep apnea places a strain on your cardiovascular system and can lead to high blood pressure, heart attack, or stroke among other issues. If you suspect that your snoring is related to sleep apnea, consider speaking with your doctor who may recommend further testing. While it’s certain that there is a relationship between smoking and snoring, it should be mentioned that snoring may be caused by a number of other conditions. It’s possible that two or more causes may coexist. Below are a few other causes of snoring that may not be related to smoking. Perhaps the most common cause is snoring is carrying extra weight. This can be especially true for males who tend to carry extra weight in the neck area. While overweight, extra fat tends to accumulate around the airway. 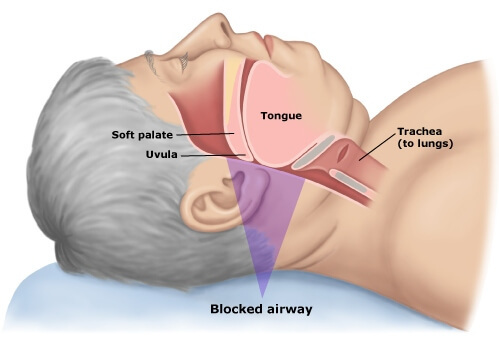 This can be problematic for those who sleep on their back as the weight of the fat in the surrounding area will place force against the airway, causing a restriction. Men with neck circumferences of over 16.5″ and women with a circumference of over 15″ are at higher risk of developing snoring or in some cases OSA. While not completely accurate, there’s a saying that goes “smokers drink and drinkers smoke”. In other words, if you smoke, you likely drink alcohol and vice-versa. For many, alcohol and tobacco go together. 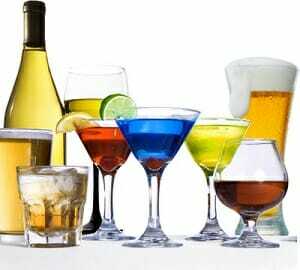 The issue with drinking alcohol is that it causes the muscles in the body to relax. While some find that having a drink or two before bed helps them to fall asleep, it may actually affect their quality of sleep. One of the issues with snoring and sleep apnea is that the jaw relaxes and falls backward which reduces the opening of the airway. As mentioned, a reduced airway causes resistance when air tries to travel past. This resistance causes snoring and if the area becomes completely blocked off, apnea occurs. Alcohol and sedative use compounds this problem by relaxing muscles surrounding the airway. Airway abnormalities, such as a deviated septum or nasal polyps may be to blame for a snoring problem. Air must travel past such obstructions in order to reach the lungs. This situation can often lead to snoring. Medical treatment may be necessary to correct such issues. If you have tried to stop smoking but have been unsuccessful, there’s plenty of helpful information out there that can assist in your endeavor. Smokefree.gov is a website that offers helpful tips and tools that will assist in your journey to becoming smoke-free. They offer expert help and even two Smokefree apps – QuitGuide and quitSTART. These apps can help track and manage cravings, allow you to create journal entries and even provide games to distract you from smoking. Quitting smoking is a very large topic and is beyond the scope of this article. In summary, here are a few items that you may want to consider. If you are in search of a product that will help with your snoring, there are actually several over-the-counter device that can be purchased which can help. Products such as nasal dilators, snoring pillows, and essential oils can all be helpful. However, one highly effective product that I use on a nightly basis is called a snoring mouthpiece. 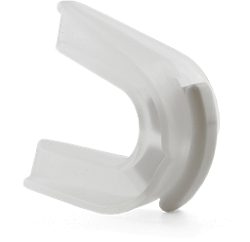 Several companies make this product and it’s the most effective snoring solution currently available. While quitting smoking should be the ultimate goal, you can use over-the-counter anti-snoring products to help in the meantime. Previous post: Can Snoring Lead to High Blood Pressure?